Barton was released from Scottish side Rangers in November after multiple suspensions related to disciplinary and betting issues. 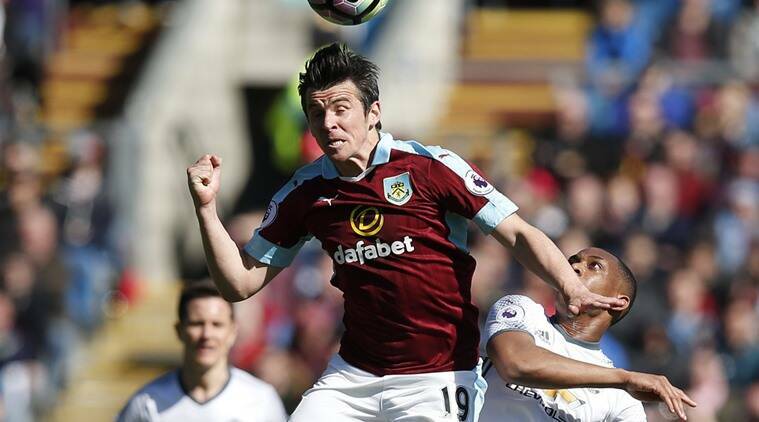 Premier League club Burnley have released midfielder Joey Barton, a month after he received an 18-month ban from the English Football Association (FA) over a charge for breaking rules concerning betting on matches. Barton was released from Scottish side Rangers in November after multiple suspensions related to disciplinary and betting issues. He rejoined Burnley on a short-term deal in January and scored once in 18 appearances before being banned. Midfielder Michael Kightly was also released by the club after being loaned out to Championship side Burton Albion in January. “Equally, ‘Kights’ has been a great servant of the club and always a tremendous person to have around the group. Burnley, who Barton helped secure promotion to the top flight in 2016 before he moved to Rangers, finished 16th in the standings to secure a second consecutive season in the Premier League for the first time. 3 How image rights landed Lionel Messi, his father in trouble?